Cheap to run. Economical and perky 1.0-litre engine. Fun to drive. Decent cabin room. Ideal first car. 2012 model emits 99g/km CO2. Not good for long motorway journeys. Some problems with leaks. Clutch and waterpump failures common on 2005 - 2009 models. Stronger clutch fitted from 2009. 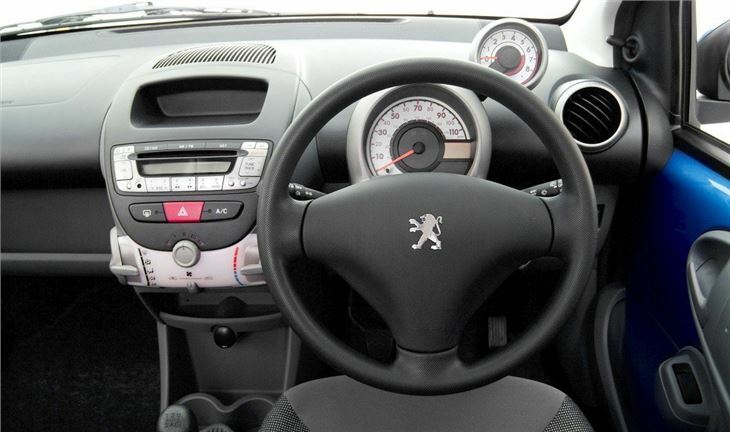 Report of electric power steering of 2006 Peugerot 106 reluctant to power up on cold mornings. 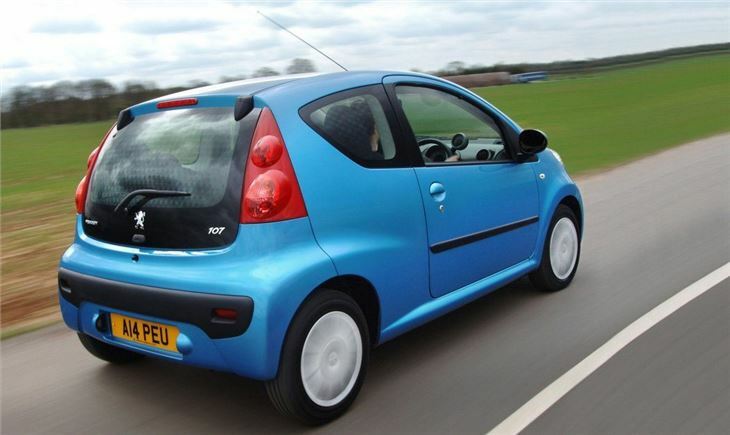 As small city cars go, the 107 has almost the perfect dimensions. It's designed to be easy to drive and manoeuvre into tight spots and thanks to the wheel in each corner design the it's ideal. That clever design means it's also neatly proportioned. 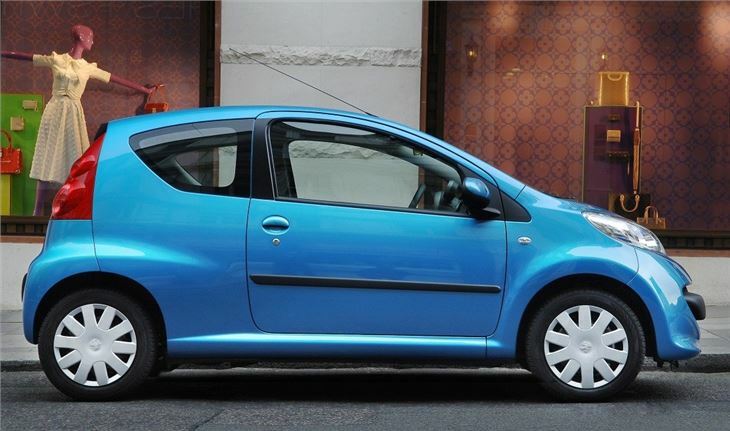 The flat rear and raked windscreen give it a sporty feel and it certainly has a more distinctive and youthful appeal than many small cars. 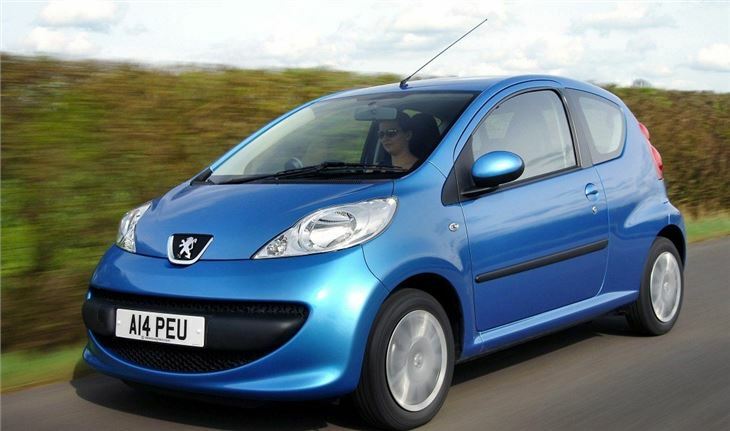 It's no surprise this is such a popular car for younger drivers who have just passed their test. 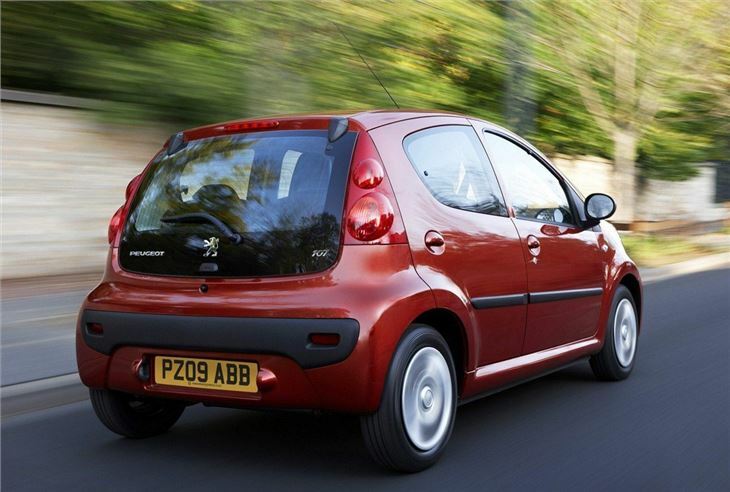 The 107 is in fact the sister car to the Toyota Aygo and Citroen C1 which isn't exactly hard to spot. They're all built at the same factory and the good news is that it was largely designed by Toyota so it's well built, durable and reliable - traits that aren't always a Peugeot strength. On the road it feels more substantial than you'd imagine given its fairly dimunitive size and is actually very good to drive with a precise gear shift and a peppy 1.0-litre engine with 68bhp. It's no performance car but it is very cheap to run. That little three-cylinder engine is ideal in town as it pulls well from low revs, yet it will still average 62.7mpg and CO2 emissions of 106g/km means it's in the cheapest car tax band that isn't zero. It's even available with a semi-automatic gearbox called 2-Tronic which is pretty rare on a car this small while insurance is group 3 (in the new 1 to 50 group ratings) which was group 1 in the old system. 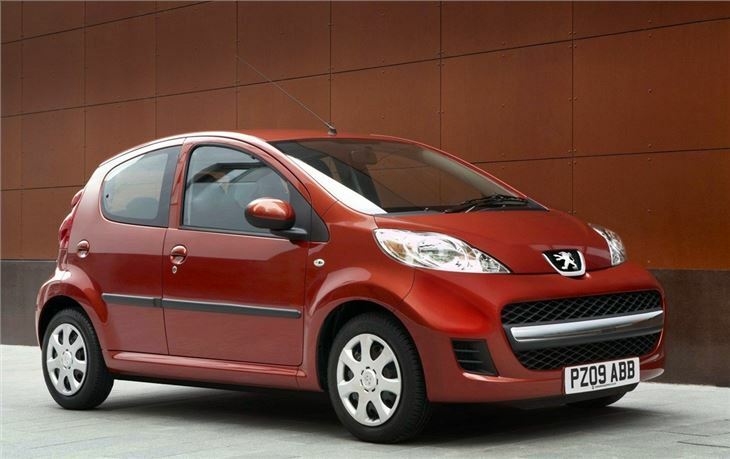 With low prices, both new and used, the 107 is a good value choice too, but that doesn't mean you get a cheap interior. It's well built and stylish inside with a good quality finish and a neat layout. Passenger space is decent too, considering the little Peugeot is less than 3.5 metres long and even taller drivers won't feel cramped. 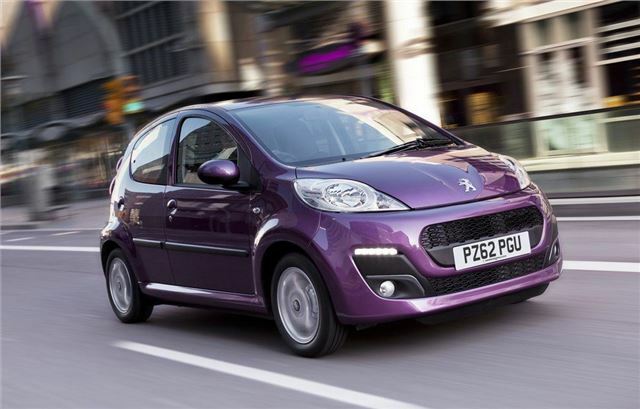 As city cars go, the 107 is pretty much the perfect package. A basic, tiny but practical car for urban use. It handles quite well on country roads too. Excellent learner car for beginners.